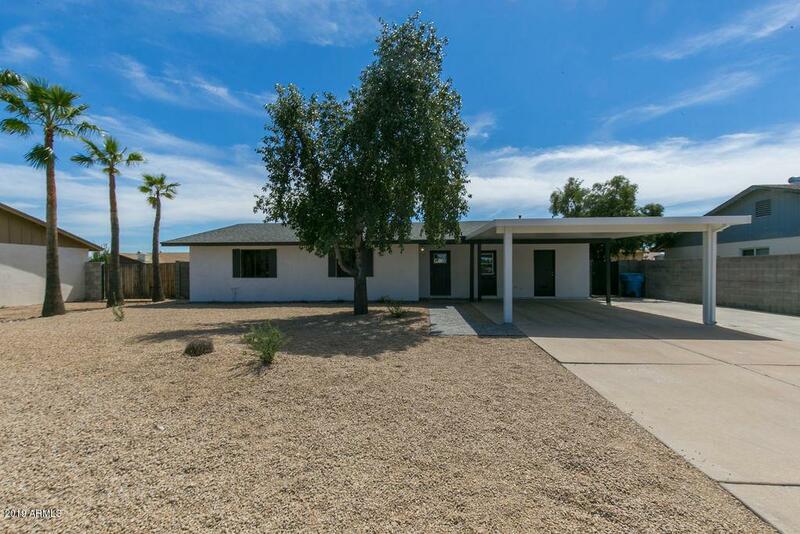 Cute remodeled Phoenix home! 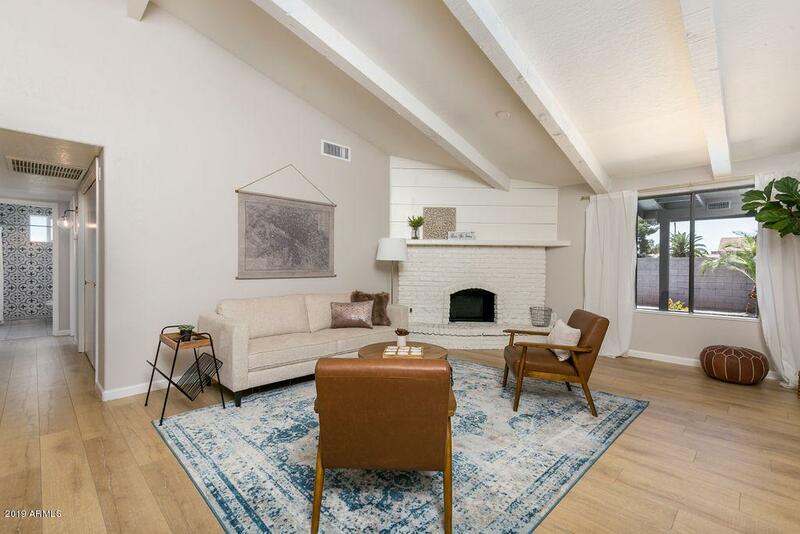 Large open concept living room w vaulted ceilings, brick & ship-lap fireplace, & natural lighting. 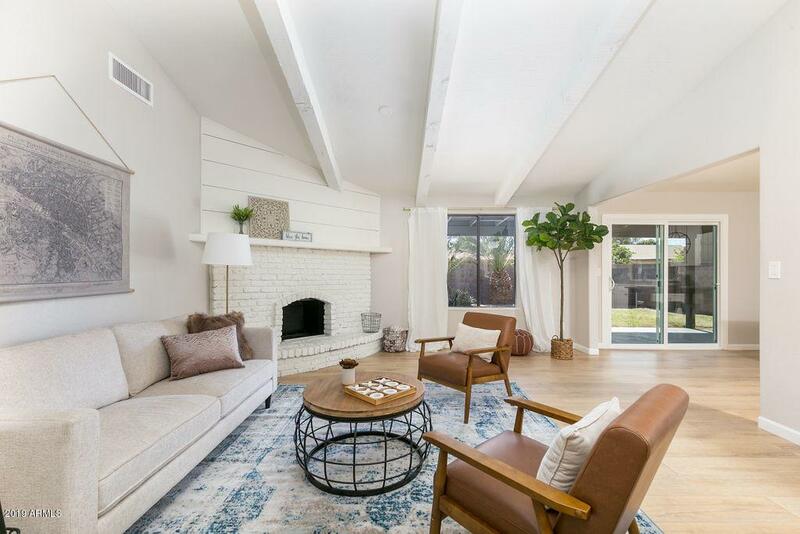 Kitchen features crown molding, white shaker cabinets, SS appliance pkg, quartz countertops, hex backsplash tile, & huge undermount stainless steal sink + industrial faucet. Off the dining room is a sliding Arcadia door to the back patio. Backyard has diving pool & newly resurfaced cool deck. Large master w walk-in closet & barn door leading to the master bathroom which features oversized hex tile. All bedrooms have new plush carpet, fresh paint, new fans, & bright windows. Guest bedrooms also have mirror sliding closet doors. Large inside laundry. New roof. New Alumiwood carport & extra long driveway. 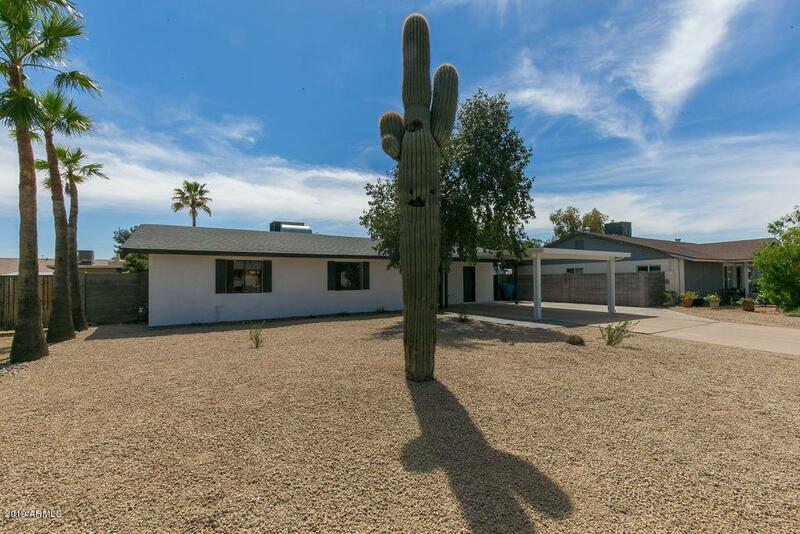 Low maintenance yard w your own saguaro cactus!